The career of Austria's Mortician began better than 25 years ago, but only in recent years has the band found some modicum of success. Reforming and releasing a compilation in 2009, the band followed it up with it's first, self-titled, full-length album in 2011. 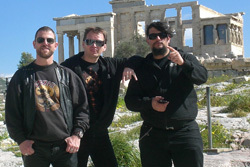 Now this traditional heavy metal band offers their sophomore effort, Shout For Heavy Metal. As 'cheesy' as the title sounds, if you like your classic heavy metal, that is 'true' metal, you'll have interest in Mortician. It's classic Eighties metal, bits of melodic, speed, and power metal. The larger emphasis within each song might lean more towards speed metal. You'll hear this with Eagle Spy or Inner Self. The pace can vary, however, within songs, moderate to quick as with Promised Land, The Devil You Know, or Hate. Then with Wrong Way you get a nice, quite strong, rock groove. Mostly, there's lots of big riffs, thudding bass and thumping drums, and big guitar solos. 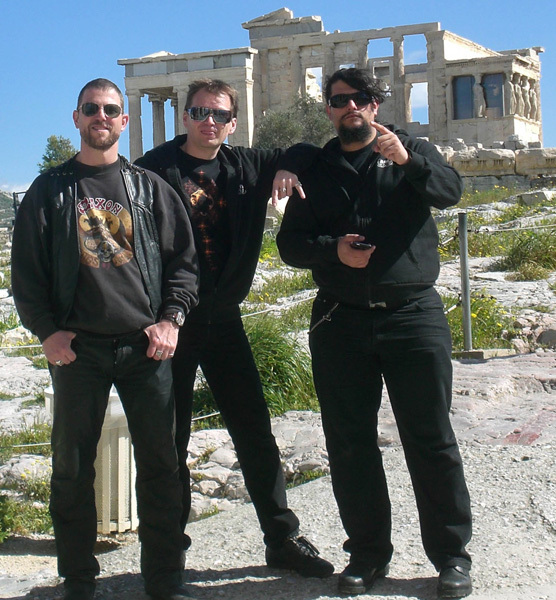 The band wraps it all in recognizable harmony and melody, something important to true heavy metal. Yet the most interesting aspect of the band may lie with Daniel Khan's vocals. In one sense, he's all over the place. Gruff and guttural in one moment, bit high pitched elsewhere, other times straight forward and clean. Without checking the promotional one-sheet before listening, I thought Mortician had two vocalists. Call him versatile. Fundamentally, for solid and classic heavy/power/speed metal, Mortician's Shout For Heavy Metal is dead on target. 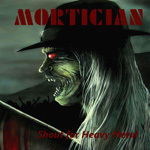 Official Trailer MORTICIAN "Shout for Heavy Metal"
For solid and classic heavy/power/speed metal, Mortician's Shout For Heavy Metal is dead on target.